INDIANAPOLIS – Here we go again. That’s what it said right here on the IndyStar sports front on Nov. 13, 2009, two days before the next installment in the NFL’s greatest rivalry. Huge letters. Bold type. Remember when Indianapolis Colts vs. New England Patriots was something special? Before it unraveled from the NFL’s finest piece of art to its most embarrassing reality show – before “Masterpiece Theater” became “Jersey Shore” – people were comparing Colts-Patriots to Lakers-Celtics, to Ali-Frazier. And Colts-Patriots delivered. That game in November 2009? 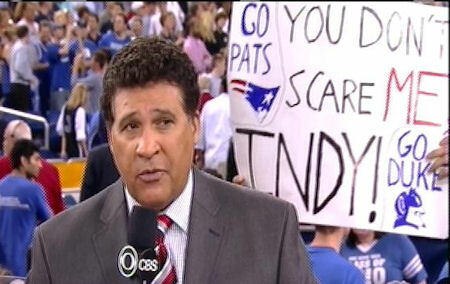 If you’re a Colts fan older than, say, 10, you remember: Colts 35, Patriots 34. The score doesn’t do the game justice, just as a description of the Mona Lisa – Oil painting of unknown woman by Leonardo da Vinci – doesn’t quite tell that story. With 14 minutes left, the Patriots led 31-14. With four minutes left it was 34-21. Soon it was 34-28, and with 13 seconds to play Peyton Manning was finding Reggie Wayne in the end zone and it was 35-34 and the best story in the NFL had another exquisite chapter. Nine years later, Colts-Patriots is an execrable joke. The 1-3 Colts limp into Foxborough, Mass., on Thursday night for a game the league chose to put on prime time for cynical reasons, valuing story above sport. Anything can happen, any given Thursday and all that, but Colts-Patriots was not given the NFL’s mid-week marquee for that reason. We’re here because some footballs didn’t have enough air and because Josh McDaniels didn’t have enough honor, and because the NFL can never guarantee putting on a game worth watching, but in this case it could offer a backstory worth selling. We could ignore that backstory, but that would be as disingenuous as the reason behind this game being played Thursday at 8:20 p.m. instead of Sunday at 1. The Patriots cheated the Colts – Tom Brady cheated – in the 2015 AFC title game by deflating footballs for an easier grip. The Patriots didn’t need to cheat to win, or even to win by a large margin. They had better players, better coaches, better everything. But to their shame they did cheat, and that game has gone down in history as DeflateGate. Three years later, to the Colts’ shame, they tried to hire McDaniels. He took the job for about three weeks before backing out, sending the Colts scrambling for another coach, a hire they salvaged by choosing Frank Reich, a man with obvious decency, offensive acumen and a fearless if faulty finishing instinct. On the trick play in question, a fake punt with a bizarre formation, Pagano sent out a snapper, Griff Whalen, who hadn’t practiced that role all week. The regular snapper, Clayton Geathers, had been knocked from the game in the first half with a knee injury. Pagano being Pagano, he called for it anyway, with a snapper who had no idea what to do, with predictable and laughable results. But also: Jacoby Brissett for Phillip Dorsett. Eight days before the 2017 opener in Los Angeles, the Colts dealt their first-round pick from the 2015 NFL Draft, Dorsett, to the Patriots for their backup quarterback, Brissett. The trade has worked out well for both, Brissett being one of the few bright spots in a lost 2017 season and giving the Colts’ a sturdy safety net behind Andrew Luck, and Dorsett leading New England wide receivers through four games with 16 catches for 165 yards and two touchdowns. The Indianapolis Colts play the New England Patriots Thursday night at 8:20 P.m.
Because when it was good, when it was real and not something out of a comic strip – I’m picturing Lucy pulling the football just as Charlie Brown tries to kick it – this truly was the greatest show on turf. Three times in four years in the mid-2000s the Colts and Patriots met in the NFL playoffs, twice in the AFC championship game, including another fourth-quarter comeback in January 2007 that propelled the Colts two weeks later to their only Super Bowl win of the Indianapolis era. You don’t scare me Indy! When it was good, it was sincere and super. Now it’s fraudulent, forgettable, more professional wrestling than professional football. But it’s time for another spin on the hamster wheel. Colts-Patriots, Thursday night on prime-time national television. Hooray.